Below I've highlighted some current, latent, and future projects that I'm excited about. If anything gets you excited and you'd like to know more or get involved feel very welcome to contact me using the form on the about page. A better me, a better you. Lifelong learning provides a life enrichment that at times is about opportunity, a richer life experience, and a better understanding. Becoming more than you currently are should be an adventure that never ends. I spent 16 years working for a company that developed software to help continuing educators conduct the business of creating classes, managing instructors, students, finances, reporting, and so much more. Having left that company in 2013 didn't mean I've give up on valuing and wanting to assist those doing that incredibly important work. My Abehtru project hopes to take that experience and craft my own tool to help continuing educators efficiently and pleasantly connect their student with the classes and experiences they hope will better both themeselves and their lives. Abehtru = A better you. Blame my age or simply my personality, or both. While I fully embrace computer technology and appreciate its gift of convenience, I also am aware that convenience isn't always the most rewarding priority. There's satisfaction to be had enjoying actual physical things. For me that means I own a wealth of books, CDs, DVDs, and records. While I'm out at book stores and record stores browsing for new and used items, I need access to my list of items owned and wished. The answer for me is to have fun exploring cloud computing with my Rootstacks project. Over the last couple of years drummer Alan Keithley and I have been playing together again. 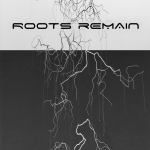 We've finally decided on a name for some of our material, Roots Remain. Nothing to do really with my last name, but because combined we are a great core (aka root) with whoever, and whatever, we play. We've got six originals mostly done and are at the point where we'll be seeking out a bass player, a singer, and perhaps a second guitar. Two pojects above utilize some combination of them in their implementation.